How to Choose the best variable frequency drive? Home » FAQ » How to Choose the best variable frequency drive? 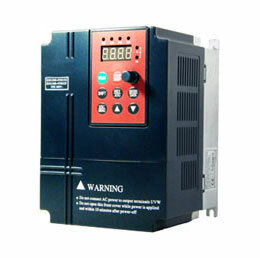 A variable frequency drive can provide much needed power reduction and good operation. 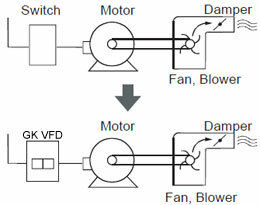 Torque and amps developed by an AC motor will determine the size of variable frequency drive needed for an application. Always choose a variable frequency drive based on the load, which is expressed in amps, never on horsepower alone. As with any instrument or control device, select the best variable frequency drive system requires care and knowledge, including an appreciation of how control with a variable frequency drive differs from that with a control valve. Selecting a good variable frequency drive requires paying careful attention to installation as well as staff skills and training. 1. Wire and cable size, insulation and shielding. Select shielded power cable is necessary to prevent interference with other plant instrumentation and controls. The VFD cable lengths are important; remember at reduced motor voltage and rated current, a larger percentage of the power delivered is dissipated in the drives power cable. 2. Power distribution. A grounded secondary is preferred. Use the AC line impedance to determine if an isolation transformer or line reactor should be installed by the variable frequency drive input side. 3. Grounding. Building steel can be used. Ground the shields at a single point to avoid ground loops. 4. VFD installation. For best noise immunity separate the power and signal wiring. Mount the VFD in a place that's accessible; see the NEC for required distances. Consider heat dissipation — the variable frequency drive electronics generates heat that must be removed. Remember, the cooler the electronics, the longer the life. 5. Reflective wave issues. VFD PWM waveforms create fast rise-time waveforms on the power cables. The peak value of these waves can be high and cause premature insulation breakdown. Choose the variable frequency drive power cable with XLPE insulation is recommended. 6. Electromagnetic interferences. Because of the high frequency components in the PWM waveform, the variable frequency drive generates interference. Choose twisted, shielded cable is recommended for the VFD wiring. A motor and load controlled by a variable frequency drive may suffer premature bearing failure and lubricant chemical breakdown due to electrical discharge of high voltages induced in the shaft, so-called electric discharge machining or EDM. The problem is relatively new and is attributed to the drives common mode voltage being induced in the shaft due to common mode voltage between each phase and the neutral. The fast transients generated by the IGBT devices cause high frequencies that are induced in the shaft. The problem can be alleviated by several methods, one of which is to select shaft-grounding bushings. 1. VFD input supply voltage is landed on the correct terminals. 2. VFD output wiring going to the motor is landed on the correct terminals. 3. VFD control wiring is landed on the correct terminals. Staff skills. Plant personnel don't need to be rocket scientists to program variable frequency drives — reasonable reading skills coupled with some application knowledge and motor information will suffice. The first task is to gather as much information about the drives application as possible. How will the variable frequency drive be started and stopped? Will a two-wire or three-wire control start the VFD? Will it undergo a controlled ramp to stop, will load determine how long it will stop by using a coast to stop, or will the VFD stop very fast and dissipate the energy through a dynamic brake? How will the VFD be controlled? Will it need an analog signal or a digital signal commanding a preset speed? 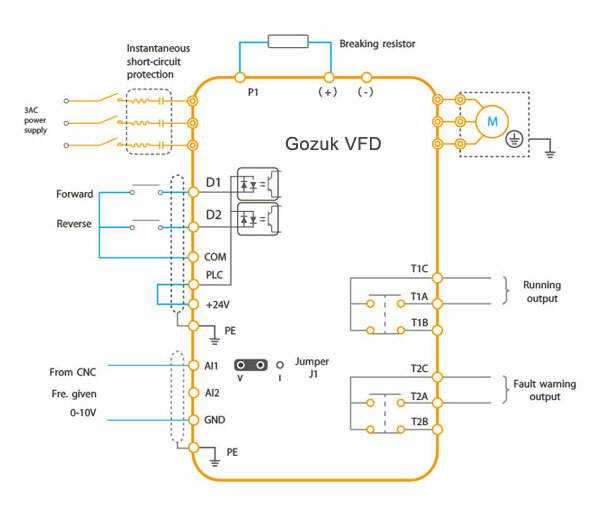 Will a 4-to-20-mA signal or a 0-to-10-V signal control the VFD? Will the VFD need to be configured to give an analog output to feed another process or another VFD? Will the application require the use of a programmable digital output? Is it necessary to program the VFD to close a set of "dry contacts" once it's achieved a certain speed, selecting that as an input to feed a start command to another VFD or another process? 4. the rated rpm — this is the load speed at which full load torque is delivered. A very useful formula to keep at hand is hp = (torque) × (speed)/ 5,250, with torque in lb-ft and speed in rpm. Slip affects this, so, an AC motor rated for 1,800 rpm may really only run at 1,750 rpm. Finally, you're set to program the VFD. Assuming that it's been installed properly by qualified individuals, the VFD will have the appropriate AC power and control voltages. Status lights on the front of most VFDs will indicate if the VFD is in a ready or faulted state. They also will tell you the status of the communications of the VFD. Some VFDs will have assisted startup routines. These types of programs actually will prompt you for the information needed for most applications and commonly adjusted parameters. Variable frequency drive training. All VFD manufacturers offer VFD programming training courses or "lunch and learns." These, when presented properly, can provide a great foundation to build upon. Understanding the basics of how a variable frequency drive works is crucial to choose it. This should start with the fundamentals of magnetism, include details about how AC and DC motors operate, the role of speed and torque, and then how the variable frequency drive controls the stator and rotor of an AC motor by rectification and using transistors to invert DC voltage back to a voltage an AC motor can use to rotate. Thanks for this precious information. Now, I have a centrifugal pump feeding a pressure filter. My filtration cycle would be significantly optimized if I could get a constant flow from start (lower pressure) to end of filtration (higher pressure). Is the VFD an option?